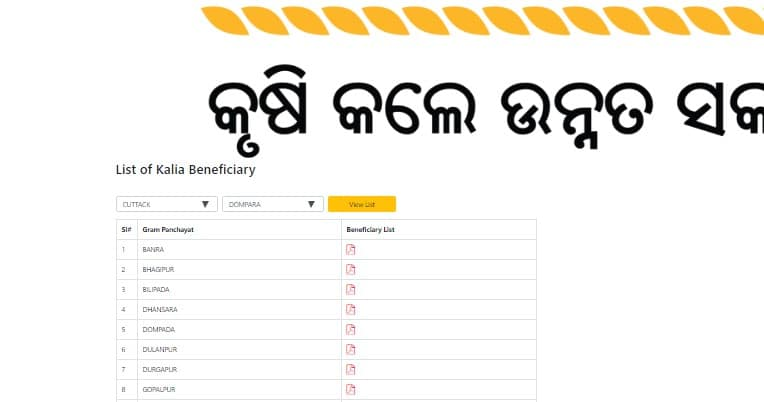 Latest Update 25/01/2019 : Odisha Kalia Yojana Online Form – As per the KALIA scheme, the State government will provide financial assistance of Rs 10,000 per family at the rate of Rs 5,000 each for Kharif and Rabi seasons as financial assistance for taking up cultivation. It will cover around 30 lakh small and marginal farmer families benefitting 92 per cent of all cultivators in the state. Stay Connected For Latest Updates. kalia yojana in odisha list 2019 visit official website. As You Click on “Beneficiary List. Now, Select Your District Name, Block Name & Panchayat Name. Then, Click on View List. Now, Gram Panchayat Names in that Particular Block Appear . Corresponding to every Gram Panchayat you can See PDF File Symbol. Now you fill application form. Odisha’s KALIA Scheme Aims To Benefit Agri Eco-System: KALIA scheme is a package for farmer’s welfare. 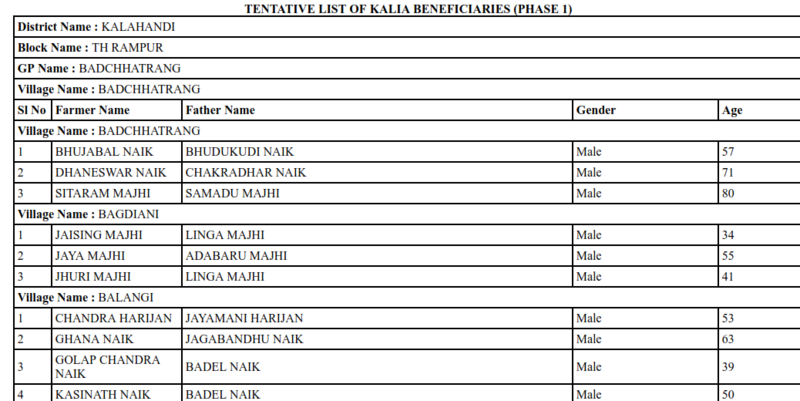 KALIA stands for “Krushak Assistance for Livelihood and Income Augmentation”. This scheme has been launched by Odisha Government to accelerate Agricultural Prosperity and reduce poverty in the State. The scheme promises Rs 5, 000 for each farmer, irrespective of his holding, spread over five seasons till 2021-22; livelihood assistance of Rs 12, 500 to each landless family; interest-free crop loans and Rs 2 lakh insurance cover for each farmer.